We all enjoy that beautiful summer whether with no rain to disrupt our outdoor activities, right? The only bad thing is that we need rain to keep our yard and plants looking green and beautiful! It is important to conserve water in general and specifically during these dryer times. Here are a few tips to help you keep your yard in great shape while helping to save water. If you have sprinklers in your yard, it is important to not let them run continuously. This wastes a ton of water because after a few minutes, the soil is saturated and water will begin to run off into the streets and sidewalks. Chelsea Green Publishing explains that some experts say that more than 50 percent of landscape water use goes to waste due to evaporation or runoff caused by over watering. It is more efficient to watch your sprinklers, letting them run for about 5 minutes at a time or until the water begins to puddle or run off. Then shut the sprinklers off for an hour or two until the soil is ready to absorb more water. Repeat the cycle as needed. Using this method will keep your yard happy and hydrated while keeping an eye on your water consumption. 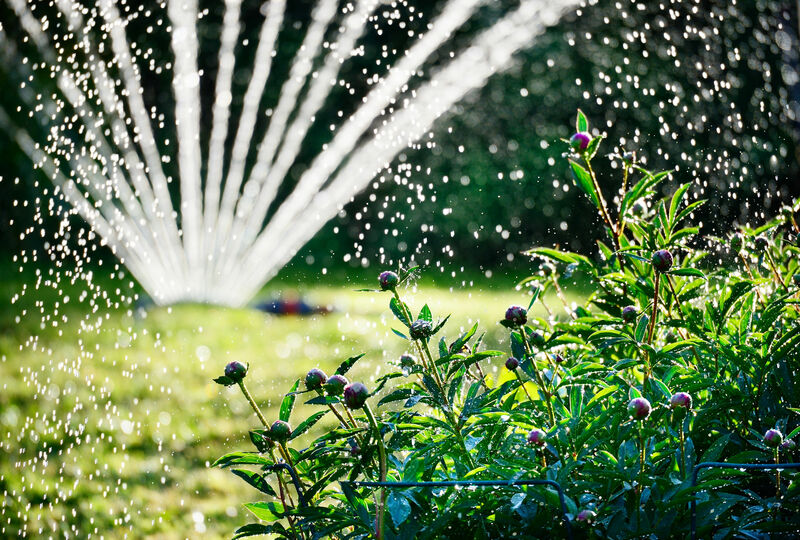 When watering your yard or landscaping, make sure your hoses and faucets are free of any leaks. This may seem like no big deal, but these little leaks can add up to a lot of unnecessary water consumption over time. When you notice a wet spot from these leaks, either replace the damaged hose or use some Teflon tape around the connection. And always turn the valve off when you’re finished watering to prevent a slow drip from going on for days. 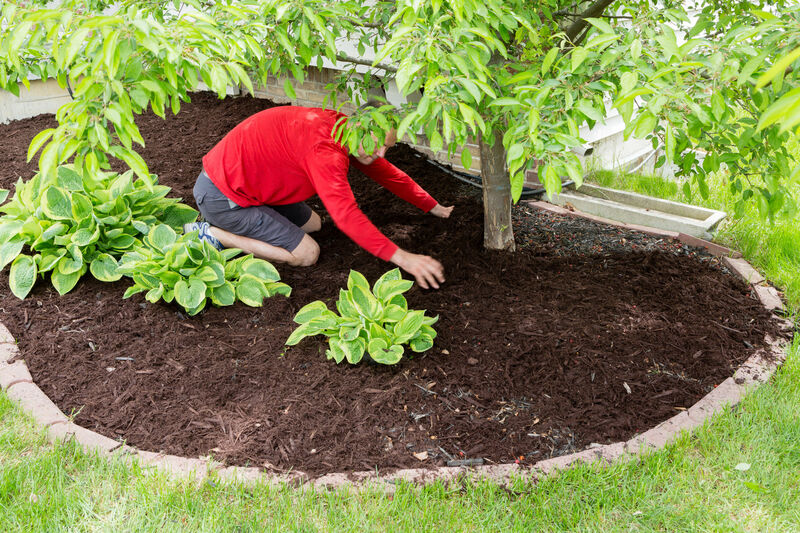 Laying mulch helps to hold moisture in longer and minimize evaporation in your yard. This means watering less frequently and ultimately saving water while your yard stays beautiful! Mulch is also great for adding some color to your landscape. It is also vey affordable. Fertilizer is a great way to supply the essential nutrients to your lawn to make it grow thick and strong! This also helps to keep your yard green while saving water. This is because the fertilizer helps grass stand up against drought stress. During the dry seasons it will require less water to stay healthy! This is a simple way get all the water you need for your plants. Use rain barrels or buckets to watch rainwater from downspouts. A heavy rain will fill these up and can be used at a later date. Having a beautiful and healthy yard doesn’t require as much water as you may think. Put some of these simple tips into action and do your part in conserving water during the summer dry spells. You will also see the benefit of a lower water bill!